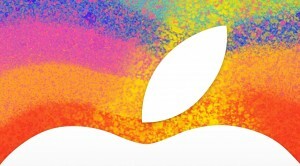 Apple is expected to unveil its new iPads on Tuesday during an event in San Francisco. The tech giant is reportedly set to announce a new full-size iPad as well as an updated version of the iPad Mini, which made its first appearance last year. There are other devices that may receive some time in the spotlight during Tuesday’s event, but we expect that Apple will focus on the iPads even if a new Macbook is announced. Most importantly, numerous rumors are suggesting that the second generation iPad Mini will be coming out with a retina display. This has yet to be confirmed but does seem like a logical next step for Apple to take with its smaller iPad line. The current iPad Mini only has an A5 processor but it is likely that Apple will bump that up to an A6X CPU with the new version. This means that we can expect the iPad Mini to perform similarly to the fourth generation iPad, which also runs on an A6X. By far, the event is likely to focus on the iPad Mini but of course, Apple will spend some time talking about the slightly less interesting fifth generation iPad updates. Among the upgrades may be an 8MP camera (from a 5MP.) Just as the Mini will be receiving a new, faster processor, the iPad will also be upgraded to an A7 processor. Outside of the new iPad announcements, Apple is expected to unveil a new line of Macbooks, as well as an updated Apple TV. Since Tuesday’s event will likely be Apple’s last big event for 2013, it will have to utilize the time to unveil any of its new products which need to come out before holiday shopping begins. And then there is the iWatch. With Samsung already coming out with the Galaxy Gear smartwatch, Apple should be trying to enter the market sometime soon. However, it does not seem likely that the iWatch will be unveiled during Tuesday’s iPad event.